Wil je ook weten hoe jouw netwerk in elkaar zit? Twitter, Facebook, e-mail verkeer in kaart brengen? Kom dan naar de Workshop Geheimen ontrafeld van social media netwerken. De gerenommeerde wetenschapper, socioloog én ondernemer in de netwerkwereld, Marc Smith, komt speciaal voor ons naar Nederland. Hij geeft deze workshop en leert ons met behulp van NodeXL de geheimen ontrafelen van netwerken in social media. Ja, ik kom dat graag leren en meemaken op 13 november! Netwerken ontrafelen in jouw email, Twitter, Facebook, flickr, YouTube en www-wereld? Weten wie de sleutelfiguren zijn in jouw virtuele wereld? Een makkelijke tool gebruiken die met Excel (2007, 2010 en 2013) werkt? Leren van de beste van de beste netwerkanalisten ter wereld? Vergeet je laptop niet mee te nemen! En meer lezen over de achtergrond van de workshop en informatie over Marc? Kijk dan even op onze agenda. We gebruiken een staffelinvestering (exclusief BTW) per persoon. Als je dus meer mensen weet te interesseren, dan profiteer je daar zelf ook van. Onze businessclub leden krijgen twee trainingen per jaar gratis én sparen voor aantrekkelijke kortingen op onze workshops en trainingen. Aanmeldingen kunnen tot 10 dagen voor de bijeenkomst kosteloos worden geannuleerd. Daarna is dat niet meer mogelijk, maar je kunt wel een vervanger sturen. Voor vragen kun je ons bellen op 015-2127544. Abstract: Networks are a data structure commonly found in any social media service that allows populations to author collections of connections. The Social Media Research Foundation’s NodeXL project makes analysis of social media networks accessible to most users of the Excel spreadsheet application. With NodeXL, network charts become as easy to create as pie charts. Recent research created by applying the tool to a range of social media networks has already revealed the variations in network structures present in online social spaces. A review of the tool and images of Twitter, flickr, YouTube, Facebook and email networks will be presented. Description: We now live in a sea of tweets, posts, blogs, and updates coming from a significant fraction of the people in the connected world. Our personal and professional relationships are now made up as much of texts, emails, phone calls, photos, videos, documents, slides, and game play as by face-to-face interactions. Social media can be a bewildering stream of comments, a daunting fire hose of content. With better tools and a few key concepts from the social sciences, the social media swarm of favorites, comments, tags, likes, ratings, updates and links can be brought into clearer focus to reveal key people, topics and sub-communities. As more social interactions move through machine-readable data sets new insights and illustrations of human relationships and organizations become possible. But new forms of data require new tools to collect, analyze, and communicate insights. The Social Media Research Foundation (http://www.smrfoundation.org), formed in 2010 to develop open tools and open data sets, and to foster open scholarship related to social media. The Foundation’s current focus is on creating and publishing tools that enable social media network analysis and visualization from widely used services like email, Twitter, Facebook, flickr, YouTube and the WWW. The Foundation has released the NodeXL project (http://nodexl.codeplex.com/), a spreadsheet add-in that supports “network overview discovery and exploration”. The tool fits inside your existing copy of Excel in Office 2007, 2010 and 2013 and makes creating a social network map similar to the process of making a pie chart. 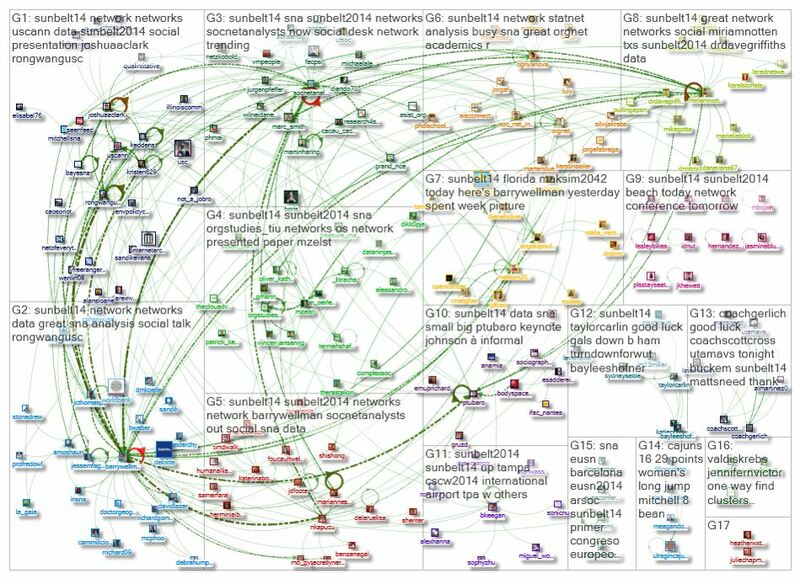 Using NodeXL, users can easily make a map of public social media conversations around topics that matter to them. Maps of the connections among the people who recently said the name of a product, brand or event can reveal key positions and clusters in the crowd. Some people who talk about a topic are more in the “center” of the graph, they may be key influential members in the population. NodeXL makes it a simple task to sort people in a population by their network location to find key people in core or bridge positions. NodeXL supports the exploration of social media with import features that pull data from personal email indexes on the desktop, Twitter, Flickr, YouTube, Facebook, Wikis, blogs and WWW hyper-links. The tool allows non-programmers to quickly generate useful network statistics and metrics and create visualizations of network graphs. A book Analyzing Social Media Networks with NodeXL: Insights from a connected world is available from Morgan-Kaufmann. The book provides an introduction to the history and core concepts of social network analysis along with a series of step-by-step instructions that illustrate the use of the key features of NodeXL. The second half of the book is dedicated to chapters by a number of leading social media researchers that each focus on a single social media service and the networks it contains. Chapters on Twitter, email, YouTube, flickr, Facebook, Wikis, and the World Wide Web illustrate the network data structures that are common to all social media services. A recent report co-authored with the Pew Research Center’s Internet Project documents the discovery of the six basic forms of social media network structures present in social media platforms like Twitter. The report, “Mapping Twitter Topic Networks: From Polarized Crowds to Community Clusters” provides a step by step guide to analyzing social media networks. Smith’s research focuses on computer-mediated collective action: the ways group dynamics change when they take place in and through social cyberspaces. Many “groups” in cyberspace produce public goods and organize themselves in the form of a commons (for related papers see: http://www.connectedaction.net/marc-smith/). Smith’s goal is to visualize these social cyberspaces, mapping and measuring their structure, dynamics and life cycles. While at Microsoft Research, he founded the Community Technologies Group and led the development of the “Netscan” web application and data mining engine that allowed researchers studying Usenet newsgroups and related repositories of threaded conversations to get reports on the rates of posting, posters, crossposting, thread length and frequency distributions of activity. 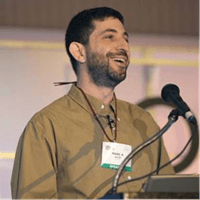 He contributes to the NodeXL project (http://nodexl.codeplex.com/) that adds social network analysis features to the familiar Excel spreadsheet. NodeXL enables social network analysis of email, Twitter, Flickr, WWW, Facebook and other network data sets.